The 35-year-old Lambert announced his retirement from professional football on Monday. 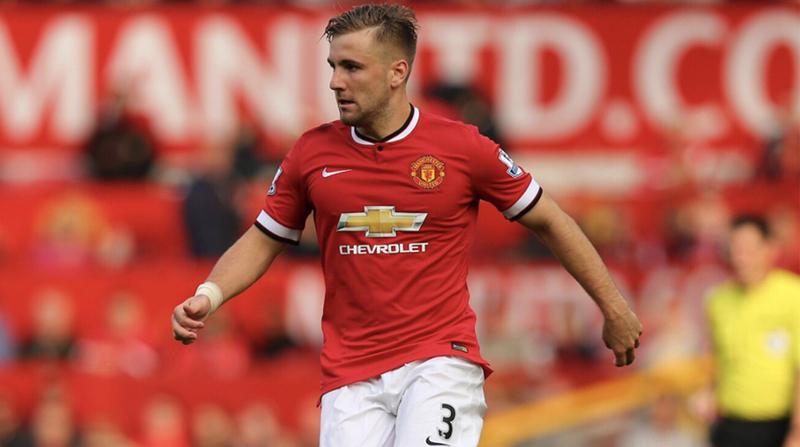 Luke Shaw may be a Manchester United star right now, but the left-back proved that he hasn’t forgotten his Southampton days as he paid tribute to former teammate Rickie Lambert, who retired from football on Monday, in an Instagram post. It was a pleasure sharing the pitch with you Lambo, what an amazing career you had, so proud of what you achieved. Good luck in your next chapter and thanks for the memories, Southampton legend! All the best mate. Shaw, a Southampton Academy graduate, played for the senior Saints’ side for three seasons before moving to Manchester United for a reported fee of £30 million in 2014. Lambert, was at the club from 2009-2014 and the duo were together when it won promotion to the Premier League in 2012. The burly English striker, scored 117 goals (all competitions) for the Saints, where he arguably spent the best part of his career. A move to boyhood club Liverpool followed his displays with Southampton but Lambert struggled for playing time at Anfield and left the club for West Bromwich Albion after two seasons. On the wrong side of 30, Lambert was unable to break into the Baggies’ first XI and left the Hawthorns for Championship side Cardiff City in 2016, where he saw more regular first-team action but his contract was cancelled by mutual consent after the season finished. After failing to find a club, the 35-year-old Lambert decided to hang up his boots after a remarkable career that saw him struggle in the lower leagues before representing England at the 2014 FIFA World Cup. Meanwhile, Shaw has a make or break season ahead of him, for the young full-back has struggled to become a United regular despite being in his fourth year at the club. United have begun the season in rip-roaring form, which makes it even more difficult for the 22-year-old to feature in Jose Mourinho’s starting XI, despite the obvious lack of left-backs available to the Portuguese tactician.